Butler Watch Company honors Rex Gunning as a "Pillar of Aviation." The honor comes with the presentation of a Butler Professional Series J80 watch. WILMINGTON, Ohio - Nov. 18, 2014 - PRLog -- Butler Watch Company announces the first recipient of its "Pillar of Aviation" salute. Rex Gunning, of Wilmington, Ohio USA, has received a Professional Series J80 wristwatch with his name and the inscription, "Pillar of Aviation" engraved on the watch caseback. 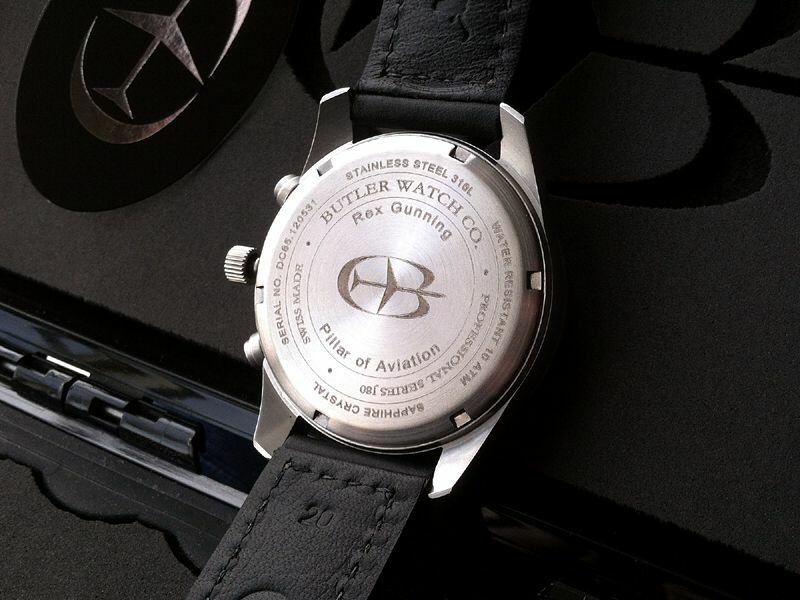 Butler Watch Company values the inspiration found in people throughout the world who dedicate themselves to making a positive contribution in aviation. Good people are the essential support that aviation depends on to exist as a safe and efficient endeavor, for everyone to enjoy. Corey Butler, of Butler Watch Company, visited Wilmington, Ohio to congratulate Rex and present him with a special Professional Series J80 watch. "We are happy to honor Rex in this way. Rex has dedicated himself to aviation and he deserves this recognition for the support he has provided throughout the years. 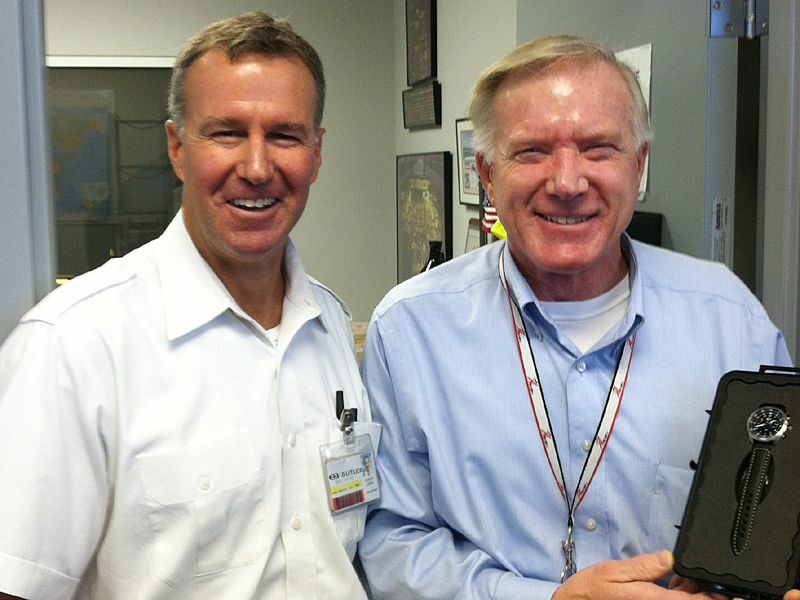 Rex is the type of individual that people enjoy working with and he is truly a pillar of aviation. Join us in congratulating Rex." Rex replied, "When you treat the airline you work for as your own, then you will find yourself putting forth your best effort. I am honored to receive this watch in the spirit it is given. Thank you." Butler Watch Company is a luxury wristwatch manufacturer with headquarters in Carmel, California. Butler Watch Company acknowledges outstanding and committed individuals with the "Pillar of Aviation" salute twice a year; once in May and again in November. Aviation enthusiasts are welcome to join the process of selecting other individuals for the "Pillar of Aviation" salute. Register for the Butler Watch Company e-newsletter to receive more information about nominating an outstanding individual in the aviation community.